Spectral Irradiance measurements can be done in different setups and wavelength ranges, like with fiber optic cosine corrector or integrating sphere. Irradiance measurements can be done in the UV, VIS as well as in the NIR range. 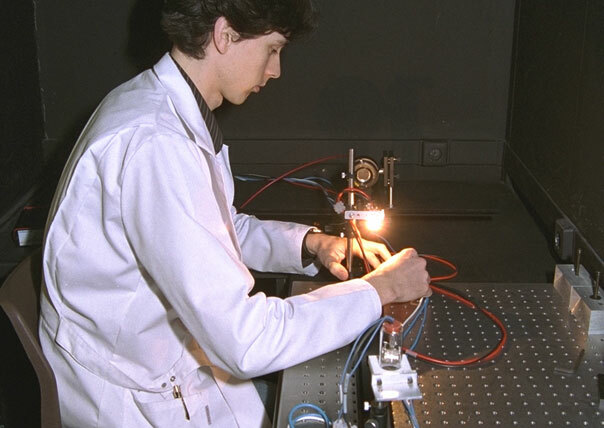 In order to be more flexible in the setup a calibration can be performed on location with a calibrated VIS/NIR light source (AvaLight-HAL-CAL) or calibrated UV/VIS light source (AvaLight-DH-CAL).